Betty is back from her road trip. Ah, I loves me a road trip and soon we shall proceed into the parlor while I will inflict multiple pictures of my time away upon you as you sit in straight-back chairs, smiling tight little smiles and glancing at your watches. First I would like to say that Betty may be one of the luckiest women on earth to have such people as Sonny Boy and Girlfriend of Sonny Boy in her life. 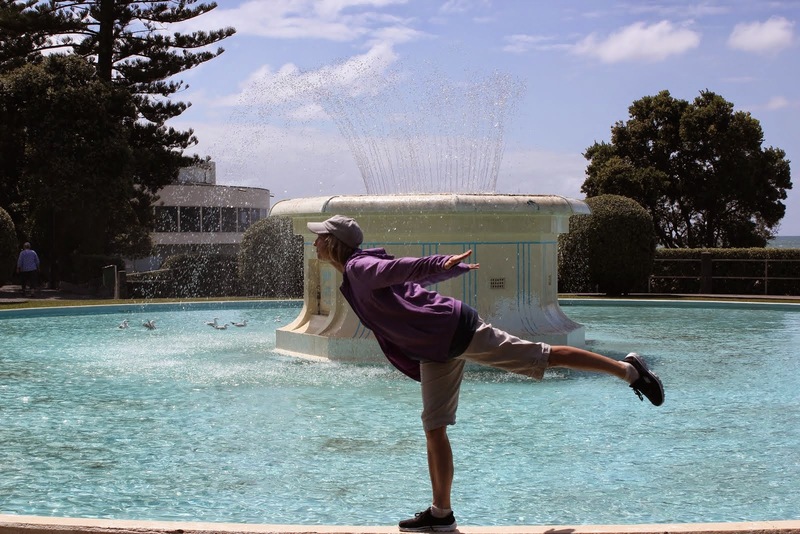 I wrote to these college juniors and said I was restless and was thinking about coming up to see them in Santa Cruz. Instead of taking this as their cue to shut down all forms of future communication, they instead welcomed me up. 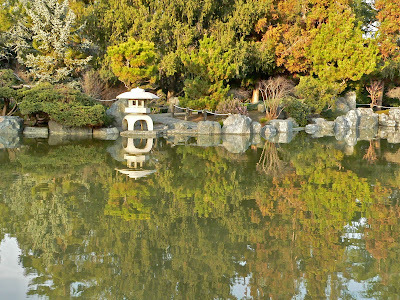 Sonny Boy then mapped out a day of fun for the three of us in nearby San Jose. Both SB and GoSB refuse to let me use their names nor their likenesses on Bossy Betty (their only weaknesses) but let me assure you they are both above average in both attractiveness, intelligence and likeability. It was a pleasure to spend time with them. 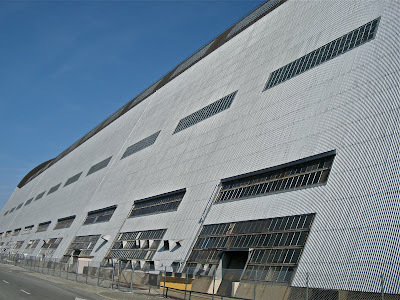 We started our day at Moffett Air Field where we saw Hangar One which as the hangar for the airship Macon, one of the largest airships ever made. There is a small museum there, run by earnest volunteers. The airship itself had a full crew, could stay in the air for as long as two weeks and could carry five biplanes. 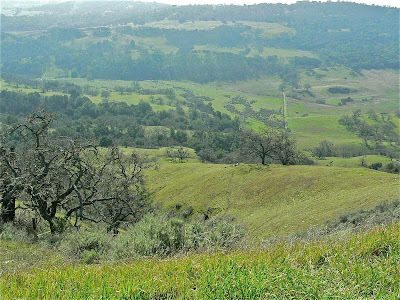 After that it was time to journey to Lick Observatory, high in the hills above San Jose. The drive up was winding and narrow. Sonny Boy was driving, so I could just sit in the back seat like a dog and enjoy the view. 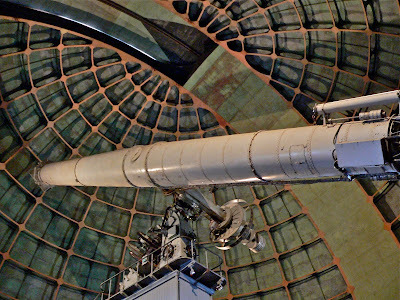 The Lick Observatory was finished in 1889 and is an incredible structure. 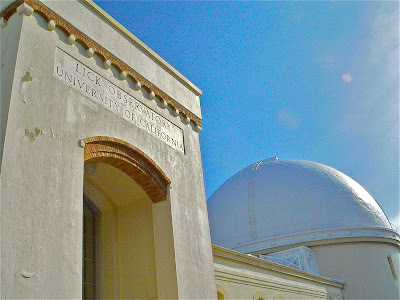 We got to go inside and gawk at the telescope. All the building materials and the telescope had to be brought up the mountain by horse-drawn wagons. Each trip took about two days. At last, it was time to go see Muffler Man--a large fiberglass man holding a muffler. I gotta admit, I swooned a little over Muffler Man. What girl wouldn't? He's a Babe for sure! This officially ends our slide show. Betty's back home now. My traveling ya-ya's have been satisfied for the time being. Thanks for going on the photo tour with me. Now, I must go write to Muffler Man and see if he felt the same connection I did. I'm pretty sure it was mutual. My witty opening line: "Dear Muffler Man: You must be exhausted just standing there day after day...."
Hi, Thank you for your comment...Love your picture tour. Makes me want to go to these places too. Looks like a lovely trip!! I'm so glad that they welcomed you and took you to see such great sights!! 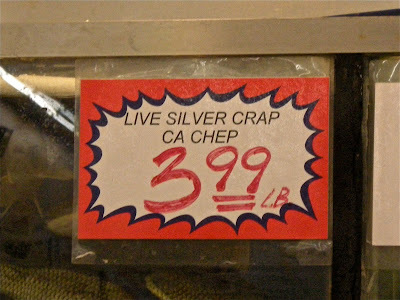 Glad you didn't buy the live crap!! LOL - even if it was such a steal! Gorgeous pictures! Thanks for sharing them! Hey Bossy! Wanna thank you from the bottom of my heart for your nice comments lately ....I totally appreciate it. I'm your newest follower. I love the west coast so shall live the west-coast-life vicariously through you! 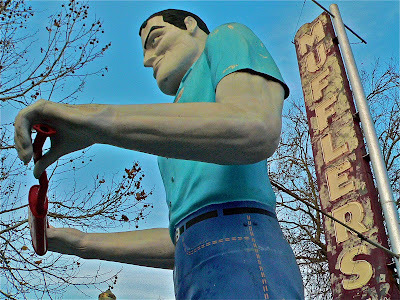 I was raised in the area of Muffler Man, thanks for the memory. 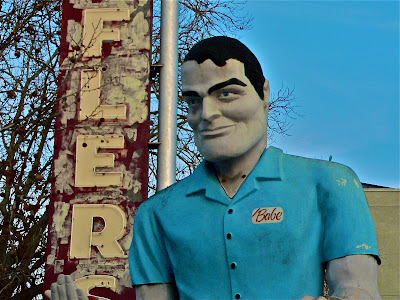 Wow, Muffler Man looks like a blue collar Don Draper. I likey!!! Thanks for the trip, the laughs and the gentle reminders/comments lately.